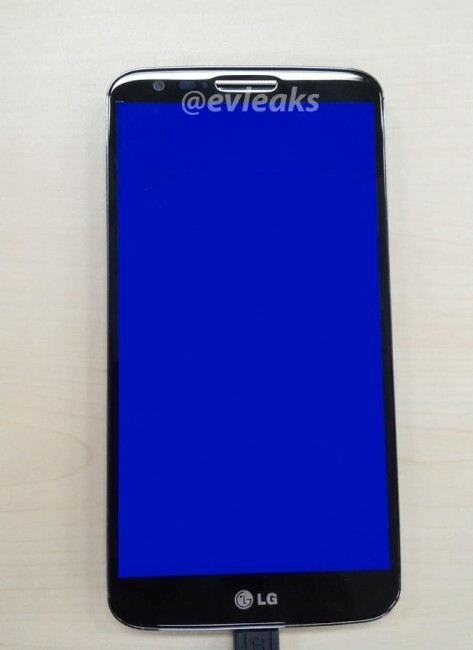 Leak specialist @evleaks posted this photo today of what can only be described as an unannounced, upcoming, high-end LG smartphone. Our first guess is to assume this is the new LG Optimus G2, the follow-up to last year’s Optimus G (our review). Since this is definitely not the Optimus G Pro, what else can it be, right? You’ll notice that it lacks hardware navigation keys, so there is a chance that LG is buying into Google’s take on Android, which is to go with software keys. The display also seems to carry a similar quality to the original Optimus G, or even Nexus 4, in that it cascades towards the edges. Early reports from benchmarks peg this phone as having a Snapdragon 800 processor and running the latest version of Android. I would also imagine that it’ll come equipped with the new display resolution standard for high-end devices of 1080p. Speaking of Nexus, is there any chance that this becomes the reference device for the newly-rumored next Nexus phone from LG? The original Optimus G was indeed the reference for the Nexus 4, so should the report out of Korea Times from last week end up being true, you could potentially be looking at the new Nexus phone. Lots of questions with no answers, as usual.